In the Kurdistan region of Iraq (KRI) the process of government formation is not only conducted through legal regulations but also under the pressure of various political forces. Furthermore, the process must pass through numerous stages, negotiated agreements, political party rivalries and the filter of the regions dominant political actors. This impression comes from the experience gained from previous government formation processes in the region and is expected to be the same for any government formation processes going forward. Hence, the primary question of the article is: Why does the government formation process in the KRI involve avenues that are outside the scope of regulation? What are the rules and regulations that underpin the government formation process in the KRI? Why has the process of government formation in the KRI taken a path that is outside the scope of rules and regulations? Will these causes also steer the current method of government formation in the KRI away from rules and regulations? Once satisfactory answers were presented for these questions the article will then focus on possible scenarios for the current process of government formation and the consequences of moving away from rules and regulations to form the next KRI government. To date, the KRI does not have a written constitution that can govern the process of government formation. However, the KRI does have some legal regulations that manage the process. These regulations are stipulated in a number of legal articles in the KRI’s body of law, such as; ‘The KRI Parliamentary Election Law (No.1 Year: 1992, Amended)’, ‘The KRI Council of Ministers Law ( No.3 Year: 1992, Amended), The KRI Presidential Law (No.1 Year: 2005, Amended), of which currently a number of its articles and their manner of execution have been legally (Law no. 2, Year 2017) redistributed over the other state institutions. In light of this legal backdrop, the process has been divided into three stages. Stage one: It is the “naming” stage. This stage sees the KRI parliament naming (1) the two individuals that will become the KRI’s next Prime Minister and the Deputy Prime Minister. Following this, the new Prime Minister and Deputy Prime Minister will be tasked with forming the next KRI government (2). Stage two: It is the “charging” stage. This stage sees the President of the KRI charge the new Prime Minister and Deputy Prime Minister with thirty days to form the new KRI government (3). However, since 2017 and the act of dissolving the powers of the KRI President this power has been awarded to the Chairman of the KRI Judicial Council) (4). Stage three: It is the “confidence-awarding” stage. This stage sees the KRI parliament award confidence to the new government that had been formed by the new Prime Minister and Deputy Prime Minister. Following the awarding of parliamentary confidence the new Prime Minister, Deputy Prime Minister and Ministers form the new KRI governing council (5), which is the highest executive group in the KRI (6). If, however, the parliament does not award confidence to the new Prime Minister and Deputy Prime Minister new proposed government then the KRI President must issue an order to dissolve the KRI parliament (7). However, since 2017 and the dissolving of the KRI presidential powers, this particular power function sits with KRI Prime Minister (8). Following the dissolving of parliament, the KRI President must issue an order to hold new KRI parliamentary elections (9), a power that is also in the hands of the Prime Minister since 2017 (10). The laws underpinning the three stages of government formation in the KRI make it clear that the KRI parliament has a primary and robust role in the process. The KRI’s parliament expresses its view through a simple majority of participant members voting system. According to paragraph 1 of Article 50 of the KRI parliamentary election law (no.1, year 1992) (11), the KRI parliament must in ‘stage one’ present their candidates for Prime Minister and Deputy Prime Minister through simple majority votes. Furthermore, the law also dictates that the KRI parliament must also in ‘stage three’ issue their confidence to the newly proposed government (Prime Minister, Deputy Prime Minister and the Ministers) for it to officially become the government (or the KRI council of Ministers). Legally, the awarding of this broad power to the KRI parliament, as the general representative body of the people of the KRI is to ensure the maximum level of democracy in the government formation process. Hence, theoretically, it can be said that the process of government formation in the KRI is to a great extent democratic. However, practically speaking during the process of government formation in the KRI, there is much divergence from these rules and regulations. It is for this reason that we see that the person being named as the next Prime Minister of the KRI is often initially named by political parties and not the KRI parliament. The Prime Minister is then appointed after confidence is awarded to him by political parties and their coalition partners, not the KRI parliament (12). Why Divert from Rules and Regulations? The emergence of a phenomenon known in political literature as the deep state (13) or parallel state (14). The deep state/parallel state refers to the forces, groups and influential individuals who can secretly direct the majority of decision making and policies that the official state takes. The objective of this action is to achieve or preserve their interests. However, given this phenomenon has not developed in the KRI to the extent that it has in some other countries such as the United States, Turkey, Egypt, Iran, Russia and Italy, it nevertheless displays some of the symptoms thereof. Hence, we can call the KRI’s version ‘Parallel Power’ or ‘Deep Government’. This shadow agency in the KRI is made of the powerful groups within the KRI’s two dominant political parties that control the region’s finances and weaponry. The existence of these groups means the legal and democratic principles underpinning the KRI are only observed when it does not harm their interests. Therefore, it is not election results that determine the direction of the government formation process but this groups’ ability to influence the process through force, finances and the size of their respective hegemonies within the KRI. Furthermore, the power of this ‘Deep government’/ ‘Parallel power’ is such that they are even able to predict the seats accurately that each party will receive even before any ballots have been cast. It is the existence of this shadow power to the KRI state that has become a source for the KRI’s population losing confidence in democracy and the election process, an issue that has been evident with the falling election turnout in successive regional elections (15). The lack of a written constitution in the KRI governing system that would set out solid regulations, timeframes and redlines for the KRI’s political process, the establishment of its political institutions, their roles in the KRI governing system and how individuals are appointed to parliament and government. 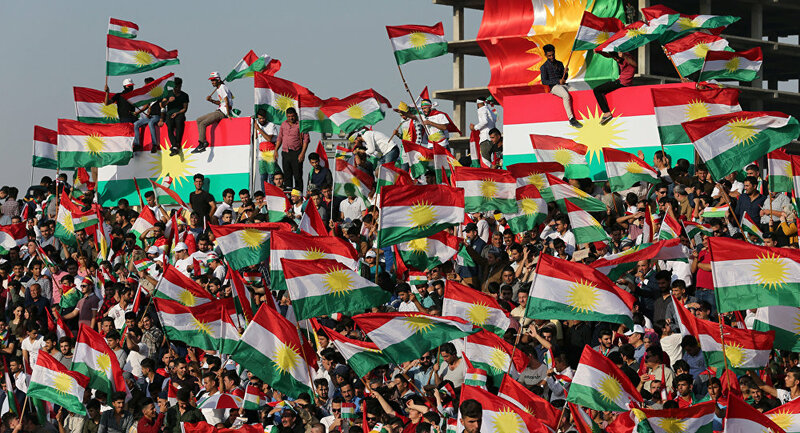 Therefore, the absence of a written constitution will allow, as it has done before, for parallel power structures in the KRI, in particular the Kurdistan Democratic Party ‘KDP’, to continue to pursue their personal interests via the practice of interpreting the current laws that are in place to direct the process of government formation to serve narrow party interests. The KRI has an underdeveloped democracy, meaning that political parties and notable individuals refuse to submit to the will of the public and do not recognise the public interest. This is in addition to the absence of a suitable environment, opportunities, and the conditions required for the establishment of a democracy in the KRI. In particular, the principle of power exchange has thus far remained absent in practice in the KRI, even when at times other political parties have successfully challenged the prevalence of dominant political parties. 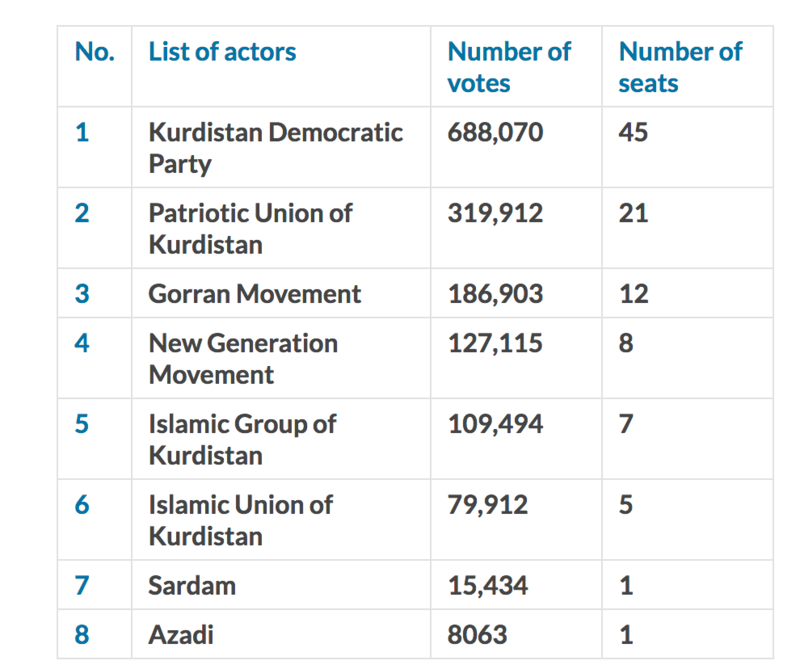 For example, the elections for the KRI’s fourth parliamentary term on 21 September 2013 saw Gorran beat the Patriotic Union of Kurdistan (PUK) to second place after the KDP. However, the shadow powerful entities in both the KDP and PUK agreed that they would, regardless of the result, continue to govern the region in the same manner as they had done previously. This was also the case during the KRI’s Provincial Council elections that were held on 30 April 2014. These elections saw Gorran beat the PUK in the Sulaimania Provincial elections but the PUK refused to acknowledge their defeat and hand control of the Provincial Council over to Gorran entirely. Hence, then and now, neither of the two dominant political parties in the KRI have been able to conclude that it is possible for the region to be governed without their presence in the governing structure. Therefore, it is these factors that continue to force the government formation process as with other democratic processes (such as, parliamentary elections, provincial council elections, legislative oversight of the government and the states administrative units, the sovereignty of the laws and the courts) to be delayed, blocked and prevented from performing their duties, especially when it favours the central power structures of the ‘parallel’ or ‘deep’ state. It is for this reason that after elections in the KRI, in the same way as election results are postponed as a result of concerns over fraud and interference, the process of government formations also faces lengthy delays. For example, following the 2005 KRI elections, the formation of the KRI’s fifth government took just under thirteen months to form. Following the 2009 KRI elections, the formation of the KRI’s sixth government took three months to form and following the 2013 KRI elections, the formations of the seventh KRI government took almost nine months to form. Currently, three months have passed since the 2018 KRI elections, and the eighth KRI government has yet to form. These delays have also impacted the parliamentary process with each delay also stalling the important work of parliament and the judicial process with the delays highlighting the weakness of the KRI judiciary. Hence, in the KRI it is the ‘parallel state’ and the ‘deep state’ that govern its process of politics and not the judiciary, executive, or legislative branches. It should be the sovereignty of parliament and its laws that become the substitute for executive power where there is a lack, void or gap in a jurisdiction’s constitution. However, in the KRI, a jurisdiction with no constitution, the will of the ‘parallel government’ was able to close parliament for two years without having any effect on the governance of the region. The reason, as mentioned above, is not the sovereignty of law, democratic and formal institutions that govern direct political life but the hegemony of the parallel power structures of the deep state. In light of these results, it is clear that no single list was able to win the election outright with a parliamentary majority. Therefore, no single list or political party has earned the right to form the next KRI government alone. If any single lists had secured a majority in the parliament then could have easily used its majority to appoint a Prime Minister and Deputy Prime Minister. While the KDP did win the most seats, it is still forced to form a governing coalition with another parliamentary entity to command the parliamentary majority and have the right to name their candidates for Prime Minister and Deputy Prime Minister. 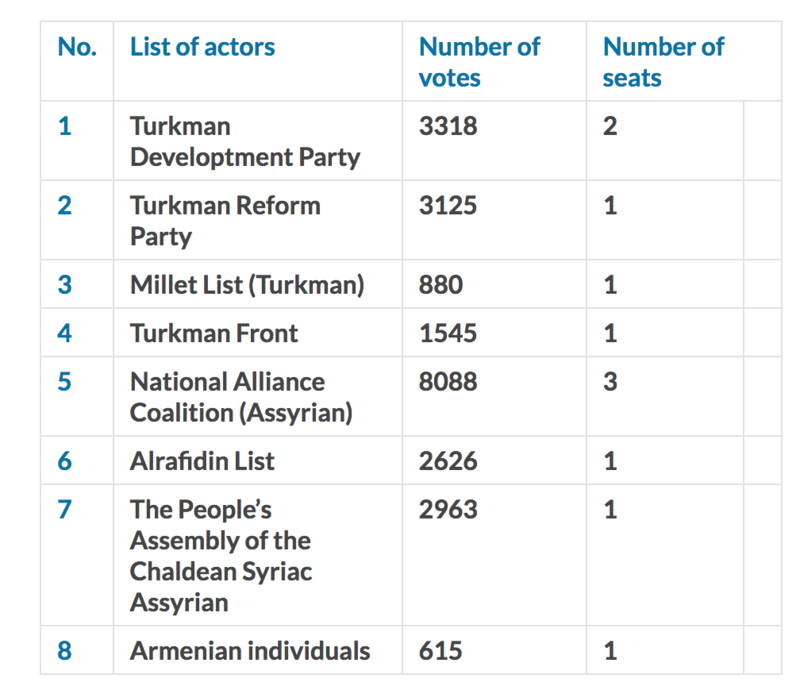 Hence, the actions taken by some political parties outside of parliament, such as the KDP, in naming their candidate for Prime Minister is not legal as there is no law in the KRI that awards a political party that happens to have the most parliamentary seats (not a majority) the right to propose a candidate for Prime Minister. Instead, as outlined in section one, the legislation awards the power to name and appoint a Prime Minister and Deputy Prime Minister to members of parliament, in particular, the parliamentary list (or coalition) that commands the majority of seats. Hence, legally, them being election winners or not, all parliamentary lists have the right to put forward candidates for Prime Minister or Deputy Prime Minister if they can secure support for them from a majority of parliamentarians. It will only be the majority vote that will carry a candidate through to the naming process. It is clear that in practice it is just the KDP and the PUK, that feel they are the only parties that can take advantage of this right. So, while legally the right to put forward candidates for the posts of Prime Minister and Deputy Prime Minister is for all parliamentary lists as none have won an outright majority, in practice it is not expected for a list that has under five per cent of parliamentary seats to attempt to form the government. Scenario one: A coalition government between the KDP, the KRI’s minority parties, and the smaller lists ensues. A government formed from this coalition could command a majority of 6-8 (56-58 parliamentary seats). Such an arrangement would form a small coalition government. Theoretically, this would be considered the best form of coalition government (18), as it would be opposed by strong opposition and could push through much of the legislation and policies the government. Furthermore, regarding the passing the sensitive and more significant issues that require a two-thirds majority, the government will be forced to negotiate with the opposition. However, this scenario, due to the reality of the dual administration of the KRI and the geographic hegemony of the KDP and PUK’s parallel power structures, would be unsuccessful as it does not serve the interests of the groups and individuals behind the parallel and deep KRI state. Hence, such a government would only be able to function in the KDP’s zone of influence. Scenario two: A coalition government forms between the KDP and the PUK lists. Such a coalition can secure an outright parliamentary majority with 66 (majority of 16) parliamentary seats. If this coalition includes the minority and smaller parties, then this coalition can secure 77-79 parliamentary seats and form a grand coalition government. Such a government would also likely be opposed by significant parliamentary opposition. An alliance between the KDP, PUK and smaller and minority parties would be able to operate in both the KDP’s and PUK’s zones of influence. 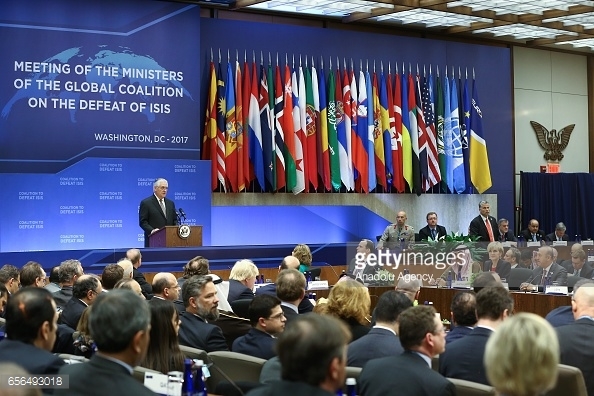 However, it would likely face much political unrest within the PUK’s zone of influence. Hence, this scenario as the case with scenario one does not fit the interests of the groups and individuals behind the parallel and deep KRI state. Scenario three: A coalition government forms between the KDP, PUK and either the Change Movement or the Islamic Movement of Kurdistan. A coalition of this type could secure an absolute majority with 78 or 73 parliamentary seats respectively. If the minority and smaller parties were added to this coalition, then such an alliance would likely secure 84-91 parliamentary seats. This would make the next KRI government a grand coalition government. However, such a government would probably be opposed by a weak parliamentary opposition. Such a scenario would satisfy the interests of the groups and individuals behind the parallel and deep KRI state as a government of this makeup would be able to operate well in both the KDP’s and PUK’s zones of influence and it would allow for relative political stability in the PUK’s zone of influence. Moreover, such a vast majority would also allow for the next government to pass sensitive and significant legislation such as the draft Kurdish constitution that require a two-thirds majority to pass. Scenario four: A coalition government forms between the KDP, PUK, Change Movement and the Islamic Group of Kurdistan. Once again this scenario would make the next KRI government a grand coalition government with an absolute majority. Such a situation would see the governing coalition secure 85 seats and if the minority and smaller lists are added to the alliance then this command over parliament could increase to 98 seats. Against such a government would be a small almost non-existent parliamentary opposition force. This government would enjoy the same specific abilities as scenario two but to a greater extent. As a result, this scenario would also fit the interests of the groups and individuals behind the parallel and deep KRI state. Scenario five: If the New Generation and the Islamic Union of Kurdistan change their stance and show willingness to join a governing coalition then a coalition can be formed between all the parliamentary lists (PUK, Change Movement, New Generation, Islamic Group of Kurdistan, Islamic Union of Kurdistan and some of the minority and smaller parties) without the KDP (or the KDP and a number of minority and smaller parties). Such a coalition could secure 56 seats and create a small coalition government, which in theory would be considered a good government and opposition balance in parliament. However, similar to scenario one, due to the reality of the dual administration of the KRI and the geographic hegemony of the KDP and PUK’s parallel power structures, this scenario would mean that the new government could only operate in the KDP’s zone of influence. Therefore, this scenario does not serve the interests of the groups and individuals behind the parallel and deep KRI state and therefore we can argue that such an outcome would be close to impossible. Therefore, by analysing each scenario and by taking into consideration the interests of the groups and individuals behind the parallel and deep KRI state, it is likely that the fourth scenario would be the one that prevails in the negotiations. It must also be pointed out that the third scenario is not far-fetched either. To predict the future of the ninth KRI government, it is not enough to only look back to the previous KRI governments, especially the sixth, seventh and eighth governments, all of which were similar in their conduct and achievements for KRI citizens. 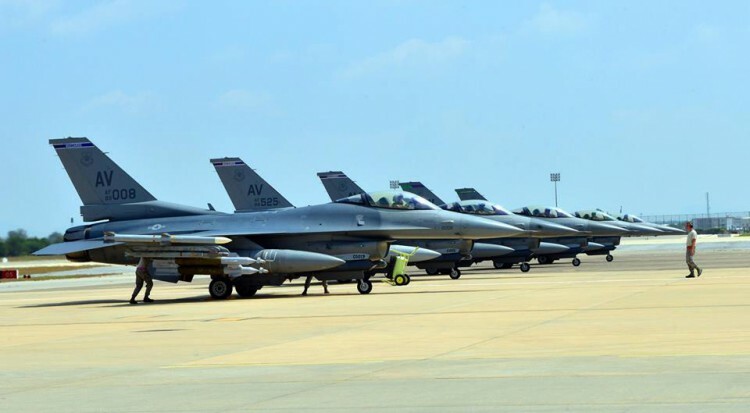 These cabinets were marked by numerous shortcomings and failures across the KRI’s public services and sectors and were also defined by their disregard and errors in regard to the more significant question of Kurdish independence from Iraq and abroad. To predict the future of the ninth KRI government, it is imperative to also take into consideration the actors, forces, and elites that are currently influencing the formation of the new government. The most important to consider are the following. The views of the powerful actors within the dominant political parties and the parallel power structures: Observing the current manoeuvring and actions of these actors in respect to government formation, it becomes clear that their efforts fall outside the scope of the law and show no consideration for parliamentary sovereignty. These groups and actors believe the government is a tool to strengthen and protect their interests. These groups can give their actions legitimacy as they carry them out in the name of political parties and national objectives. The views of the people, which is more in the shape of hope, are for the government to become a tool for the provision of public services and needs. However, given that previous governments have consistently failed to meet these demands, there is little hope that any future government in a similar political climate will provide for this demand. The disillusionment of the public in the political process’s ability to cater to their needs was evidenced by the substantial number of public boycotts in the 2018 elections. The views of nationalists: The government becomes a tool for achieving Kurdistan’s broader national rights and the freedom of Kurdistan in Iraq and the broader Middle East. However, the likelihood for the government to successfully meet this demand seems less likely every day. The academic view: This view has been formulated by observing and analysing the KRI’s political process in all the stages of the KRI’s development over the last 27 years. Our view is that the new KRI government will become a tool to legitimise the hegemony and continuation of the deep state and the KRI’s parallel power structures in the same way most of the other KRI state institutions have been. The continuation of the hidden dual administration system in the KRI that is utilised for the division of the regions resources, income and the carrying out the tasks of government and implementing general policies. The possibility of armed conflict between the different groups within the KRI’s parallel power structures. 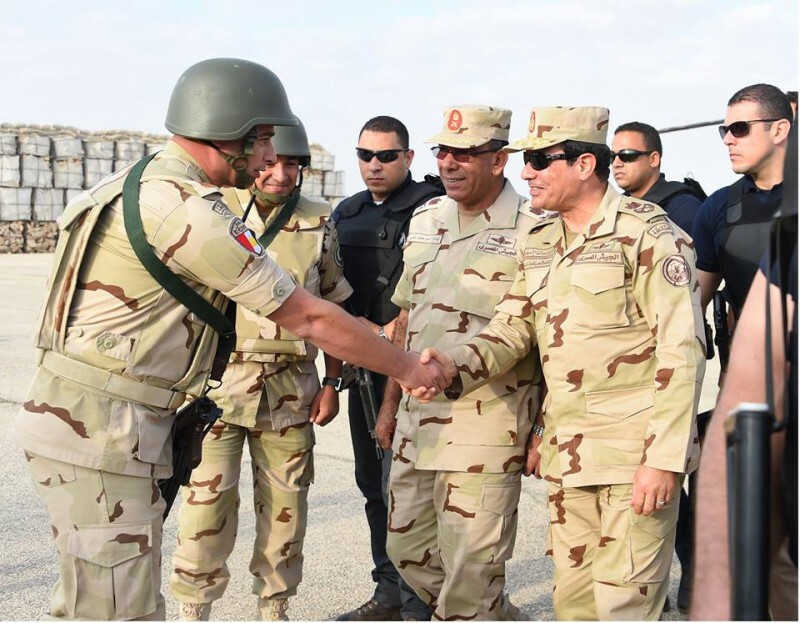 While these actors agree on the preservation of their shared interests in general, troubles between the two dominant regional parties as well as within the wings of each party continue to persist. A weak political opposition, limited political oversight and pressure by the PUK’s zone of influence might lie ahead for the next KRI government. Moreover, the continuation of unsolved political, economic and social crisis within the KRI will force the next government to take the shape of a caretaker government. What solutions are there for this problem? The view of this article is that the only solution that exists to resolve the issues relating to the government formation process is for the parallel power structure to cease to exist. This can only be achieved by taking away the finances and arms of the individuals and groups behind the KRI’s parallel system of power. This solution is based on the fact that in recent history the KRI has failed when it has turned to the utilisation of democratic institutions and tools. Hence, the only passage that remains is to demilitarise the regions’ political parties. بڕوانە: بڕگەی٣ لەمادەی٥٦ییاسای هەڵبژاردنی پەرلەمانی كوردستان ژمارە (١)ى ساڵی١٩٩٢ هەمواركراو. بڕوانە: بڕگەی (١٢) لە مادەی (١٠)ییاسای سەرۆكایەتی هەرێمی كوردستان ژمارە (١)ی ساڵی٢٠٠٥ هەمواركراو. بڕوانە: هەمان بڕگەی مادە لە هەمانیاسا. بڕوانە: بڕگەی (٤) لە مادەی (١)ی یاسای دابەشكردنی دەسەڵاتەكانی سەرۆكی هەرێمی كوردستان ژمارە (٢)ی ساڵی٢٠١٧. بڕوانە:بڕگەی (٤) لەمادەی (٥٤)ییاسای هەڵبژاردنی پەرلەمانی كوردستان ژمارە (١)ی ساڵی١٩٩٢ی هەمواركراو. بڕوانە: بڕگەی (١) لەمادەی (٢)ییاسای ئەنجومەنی وەزیرانی هەرێمی كوردستان ژمارە (٣)ی ساڵی١٩٩٢ی هەمواركراو. بڕوانە: بەندى (٣) لە بڕگەی (٤) لە مادەی (١٠)ییاسای سەرۆكایەتی هەرێمی كوردستان ژمارە (١)ی ساڵی٢٠٠٥ی هەمواركراو. بڕوانە:بڕگەی (٢) لە مادەی (١)ییاسای دابەشكردنی دەسەڵاتەكانی سەرۆكی هەرێمی كوردستان ژمارە (٢)ی ساڵی٢٠١٧. بڕوانە:بڕگەی (٢) لە مادەی (١٠)ییاسای سەرۆكایەتی هەرێمى كوردستانژمارە (١)ی ساڵی٢٠٠٥ى هەموارکراو. بڕوانە: بڕگەی (١) لەمادەی (٥٠)ییاسای هەڵبژاردنی پەرلەمانی كوردستان ژمارە (١)ی ساڵی١٩٩٢ى هەموارکراو. 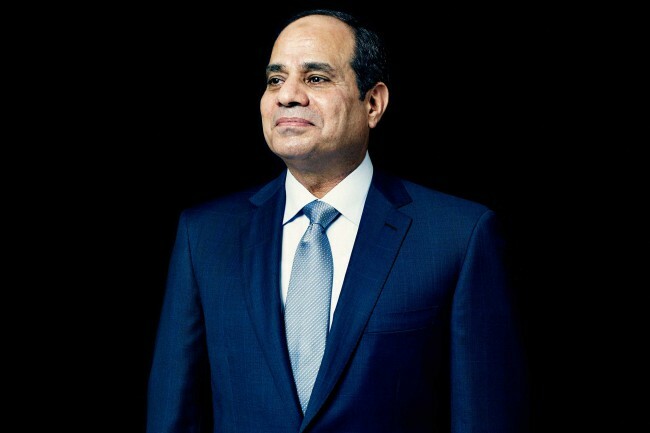 د.عابد خالد رسوڵ، ڕێكارەیاساییەكانی دروستكردنی حكومەتی نوێ‌، رۆژنامەی ئاوێنە، ژمارە (٣٩٨) لە ٨/١٠/٢٠١٣، ل ل ١٨-١٩. Mike Lofgren, The Deep State: The Fall of the Constitution and the Rise of a Shadow Government, Penguin Books, New York, 2016, Pp. 30-32. Arend Lijphart, Patterns of Democracy: Government Forms and Performance in Thirty Six Countries, 2nded, (Yale University Press, 1999), PP 80-85.